One of the biggest problems facing iPhone/iPad users will be solved when iOS 8 is released this fall. Any moderate to heavy user has wished their battery lasted longer OR wished they would know why their battery was running out so quickly. Starting with iOS8 the second question will be answered. 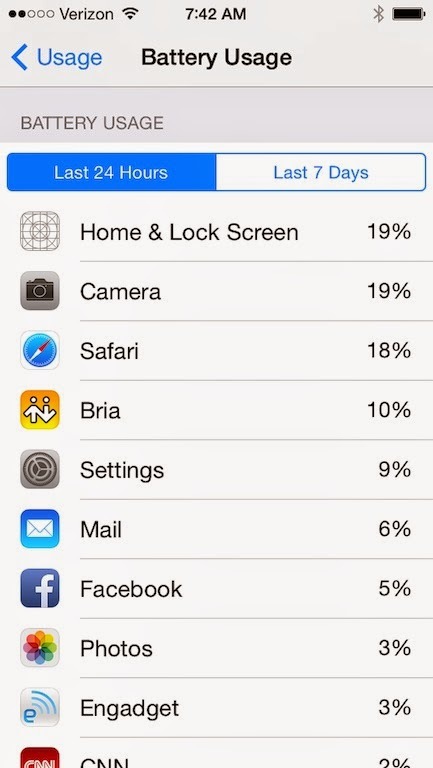 iOS8 tells you what apps are using the most battery. For example, I always suspected that keeping the camera running in the background would eat a lot of battery. Now I have proof is this is true or false.